Bookkeeping Service Fee Structure ... How Does a Bookkeeper Charge? What is the best pricing option for small business owners needing bookkeeping services? You may be wondering if you have never used a bookkeeper before, how are bookkeeping service fees structured? Fill your teacup and we'll chat. ... generally there are a few ways bookkeepers set their fee. Hourly Rate or Flat Fee are common with many requesting all or a portion of the fees paid upfront through a deposit or retainer. Fixed Price Value Billing is beginning to gain in popularity while Hourly Rate is declining as a billing method. You spend your government monies collected in trust to cover business cash shortfalls or to support your personal lifestyle. You don't put aside money to pay your income tax at year-end. You are on a learning curve and make a lot of errors that need correcting. Establishing a relationship with your bookkeeper where you can speak with them on a regular basis helps keep you out of paperwork hell and on the path to success and profitability. 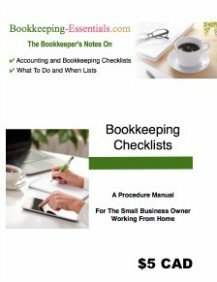 If you have a small startup business and are wondering how much to budget for bookkeeping services, I'd say $3,500 - $6,000 including tax preparation annually for a set of audit ready books. That would include a one time setup fee, monthly (this would mean you actually have to submit ALL your paperwork on time) bookkeeping for 40 transactions or less per month, monthly conversations and management reports , year-end, internal financial statements, and T1 tax preparation for sole proprietors as well as unlimited communication and support with no reimbursement of additional expenses as the bookkeeper absorbs these costs. Payroll, inventory, multi-currency transactions, more than two bank accounts / credit cards cost more and run you into the mid-range of the price estimated above. If you are incorporated, it will likely run you into the high-range of the price estimated above due to more paperwork requirements and additional knowledge requirements to prepare a set of books. This is just a ballpark figure. Your bookkeeper needs to determine YOUR needs before they quote you. If your bookkeeper is only doing data entry for you ... find a new bookkeeper. There is way more to freelance bookkeeping than data entry! 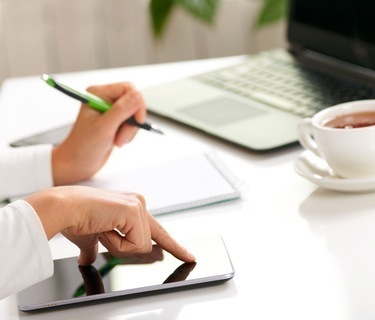 In fact, with online cloud accounting software becoming more popular, bookkeepers now need to be versed on how to manage and review data while embracing automated data entry options. By The Hour, Page, Flat Fee, Prepaid, Fixed Priced Agreements? Is your bookkeeper still charging by the hour? The average rate for general bookkeeping services right now is $50 or less (2015 intuit survey) ... down from $56/hour (2011 Intuit survey) ... up from $35/hour (2009 Intuit survey). The rates may be down because more bookkeepers responded to the survey (vs accountants) than in past years ... or it could be because bookkeepers are moving away from hourly billing rates. Note - expect to pay more for "advisor" services with regards to your computer software. Rural areas tend to charge less than urban areas. If you are just starting out in public bookkeeping, set your rate/pricing in line with your experience. As your experience grows, increase your rates/pricing. This means you would definitely not charge the average rate when you start out. You are learning on your client's dime and your rates should reflect that. I still have my favorite clients that I undercharge because they are always willing to let me "learn" or try out new stuff with their file. This becomes a WIN-WIN for both of us. If you are hiring a bookkeeper, make sure you inquire about their formal training, their practical experience (was it obtained in private industry or through public practice ...small business or large corporations) and ask for references ... then follow through and check them out. Don't be reluctant to verify if the rate they are charging matches their experience and training. It's your business and their bookkeeping errors could cost YOU MONEY. Don't be afraid to give them a bookkeeping test to see if they will be able to perform the work you require competently. Sometimes I want to cry for business owners who are in financial ruin because they trusted their bookkeeper to know the rules and find out too late during an audit just how much they didn't know. If a bookkeeper charges below the average bookkeeping rate ... say $30/hour or less ... they are probably new to bookkeeping ... their inexperience is reflected in their rates. This doesn't automatically mean they don't have formal bookkeeping training or bookkeeping experience, just that they may be new to public bookkeeping. As a small business owner, you need to know that work experience as an accounts payable or accounts receivable clerk within a medium to large sized organization does not provide an adequate basis by itself for becoming a freelance bookkeeper. You will probably need to have your accountant perform year-end duties. If a bookkeeper charges well below the average bookkeeping rate ... say less than $20/hour ... I'd recommend you make arrangements for them to take a bookkeeping test to gauge their skills ... because your business could be at risk if poor bookkeeping practices are followed. The bad news will likely show up during a CRA audit. If the bookkeeper works for and is supervised by a certified accountant (CA, CGA), expect to pay well above the average bookkeeping rate ... you are paying for quality of work due to the supervised environment ... a second pair of eyes that is well versed in GAAP. If the bookkeeper is working freelance ... but is certified, expect to pay $10 to $15 above the average bookkeeping rate. If the bookkeeper is experienced ... but not certified, expect their bookkeeping rate to be plus or minus $5 of the average bookkeeping rate. Don't quote me on this .... this is just an educated guess ... I have no figures to back this up ... the price ranges for bookkeeping service just stick in my mind from things I've read or heard over the past ten years. Of course the longer this page is on the internet, the more skewed the above guesses are as new bookkeepers read it and don't necessarily price their services and knowledge appropriately. Rates vary in different areas within a province and across Canada. In communities experiencing a recession, rates may be below the averages while large cities seem to command a higher rate. From the various websites I visited while doing research for this page, it seemed that in 2009 $75 was the lowest minimum charge I found bookkeepers (online anyway) were accepting. This was for a very basic business with minimal transactions. When you are just starting out, it may be the best $75 (or $150) you spend each month if you are just starting out. IPBC (Institute of Professional Bookkeepers of Canada) has a report titled Status of the Canadian Bookkeeping Industry 2015 Benchmark Study available for sale at www.ipbc.ca. You will have to contact them to purchase it. The study "focused on bookkeepers and their salaries, education and training levels, accreditation." It provides useful information pertaining to bookkeeping services. The first IPBC benchmark study was done in 2009. There are better methods of billing bookkeeping services than by the hour. As a small business owner, I would request one of the other billing methods I'm about to discuss. IF the bookkeeper looks at you like you are nuts ... I'd walk. 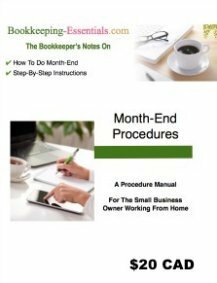 The second method that bookkeepers charge is by an agreed upon, in advance, fixed monthly charge. This charge is usually based on a combination of so much per number of transactions plus a fixed amount to cover preparation of financial statements and a monthly (or quarterly) meeting with you to discuss your financial results. Scenario One Service Business - sole proprietor business was service oriented with cutover handling data entry for sales and customer payments. One checking account (which you reconcile) with an average 250 transactions per month which you enter. Most purchases were made by debit card or online. No third party reporting was required, just "internal use" financial statements and the owner did NOT run any personal expenses through the business checking account. Average flat fee was in the $200 per month range. Scenario Two Retail Store - LLC taxed as a sole proprietor (in Canada just substitute sole proprietor), that did NOT run any personal expenses through the business, runs a retail store. They handle the daily sales data entry and bank deposits using the Undeposited Funds account. The bookkeeper enters the deposits to match the actual bank deposits, enters and manages A/P. There are about 50 transactions a month with half of them related to inventory purchases. The bookkeeper would also reconcile the bank account. No third party reporting was required, just "internal use" financial statements and accruals only occur at yearend. Average flat fee, excluding payroll requirements, was in the $300 per month range. Scenario Three Business With Payroll - Payroll services were required for 5 employees (one scenario was 5 hourly employees and another scenario was 2 full time staff and 3 hourly employees). 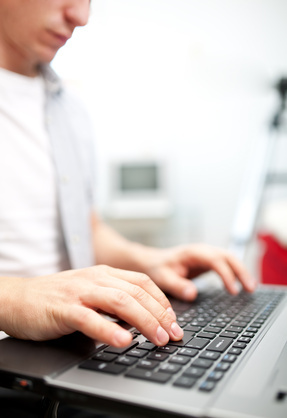 Time sheet data entry is performed by the business owner. The business owner requires you to process the pay cheques, handle the remittance of source deductions to the government, file the appropriate payroll compliance reports including income tax related slips (i.e. T4 or W2 slips). Average flat fee was in the $125 per month range for 2 FT/3 HR employees. Average flat fee was in the $100 per month or less range for 5 HR employees. Flat fees are the way to go for "backwork" ... backwork is bookkeeping for prior years that is past due. If you are a small business owner, make sure you negotiate a fixed / flat fee for your backwork. I would not accept an hourly quote from a bookkeeper for backwork ... after all they can estimate fairly well the number of transactions involved as they are working with all historical data / documents now. I've also noticed some bookkeepers charge "by the page" ... that is they will charge a flat fee up to a certain amount of pages (bank statement, credit card statement, etc.) and then an additional fee for every page over the maximum number included in the flat fee.There will usually also be other "a la carte" items you can request. Often times, a bookkeeper will charge a one-time administration fee to set up the books. This fee covers setting up your chart of accounts (after discussions with you) and inputting your opening balances on the balance sheet and if applicable, payroll. Intuit's 2011 survey results say this is charged as a flat fee averaging at $286. The figure most commonly used was $250. It is well worth it to forgo a DIY setup and have your bookkeeper set things up. You get this wrong and everything you do after is just garbage. I had one client who setup their own chart of accounts and opening balances. The balance sheet from day one was never in balance. This forces bookkeepers and accountants to start a new, clean set of books and enter data to it in summary form based on data extracts from your records. They may not tell you they've done this and let you continue on your merry way. Then one day you decide for whatever reason to change your bookkeeper. Turns out your "books" are a mess and you had NO idea. The bookkeeping industry has slowly been moving toward some form of payment before service ... due to many small business owners not paying their bills after the work has been completed. It is now normal practice to request a deposit up front and in advance of processing. This fee can vary but is usually between 25% to 50% of the estimated bill. The worse you are at paying your outstanding bill, the higher the deposit requirement. Many bookkeepers only work on a 100% estimated payment for hourly billing ... or they may request a retainer which is applied to your final bill. If you have a flat fee or fixed price agreement, expect to pay in advance of service. If you would like to pay your bookkeeper by credit card and they don't offer that service yet, help move them into the 21st century and ask them if they would consider using PayPal. It is an affordable way for a small business to accept credit cards without all the merchant fees. All they need to do is sign up and send you an e-mail. Instructions on how to pay are provided. The small fees they pay are offset by the reduction in time spent on Accounts Receivable collections. Another great payment option these days is Interac eTransfers or email eTransfers. Ask your bookkeeper for a fixed price agreement. This requires your bookkeeper to look at your business, your problems and give you a customized annual quote specific to your business and its challenges. It will require your bookkeeper interview you prior to presenting the agreement. The quote should include consulting time so you have somewhere to go to ask your questions without the "meter" running. You get to establish a relationship with your bookkeeper because the clock isn't running. You get price stability and can budget appropriately. You get a choice on what services you want or don't want. It should normally come with some kind of guarantee. Normally when the bookkeeper presents the fixed pricing agreement, you will have your choice of three service levels to help you find a service package that you can afford or service at a level YOU want. Think of it this way ... if you were shopping for a car, you have a wide range of makes, models, colors. It is not a one size sedan / one vehicle price fits all. Just a caution for startup business owners while I firmly believe you should have a bookkeeper during your first two years of business to ensure you are handling everything correctly, be aware that bookkeepers who have moved to fixed price agreements will try to up-sell you services you don't need at this time. One example would be offering "precision bookkeeping" where they are doing monthly and / or quarterly accruals. Most startups don't require this service to get their business up and running. Having your accountant book ALL your accruals at year-end is sufficient. One feature you NEED to insist on receiving is a management reporting package - quarterly is the minimum. A basic package should contain the balance sheet, income statement, cash flow statement, A/R aging and A/P aging as well as copies of your bank and credit card reconciliations. You need to learn how to read and use this package at the beginning while everything is still relatively simple so that you can be a wizard at it as your company grows. For bookkeepers interested in offering fixed price agreements to your customers, please read the book "Pricing on Purpose: Creating and Capturing Value" by Ron Baker or download a copy of Mark Wickersham's Effective Pricing for Accountants. Intuit also has a website called Firm of the Future devoted to this. Certified Professional Bookkeepers (CPB) with The Institute of Professional Bookkeepers of Canada (IPBC) have opportunities to train with Ron Baker in converting your business to this model. ... clients' presentation and completeness of information. You can help keep your bookkeeping fees reasonable by asking your bookkeeper how they would like the information presented. The more organized you are, the less it costs you. Why? If your bookkeeper does not want to offer a fixed price agreement, approach them after they have worked on your books for three to six months and ask for a fixed flat fee per month that is reviewed / renewed annually. If a bookkeeper insists on charging hourly bookkeeping rates ... I'd find another bookkeeper. If they are any good at what they do, there shouldn't be a lot of risk to them to quote a flat fee or offer a fixed pricing agreement ... IMHO. If they don't quote properly and lose money on your file, then it's a learning experience for them. The experience will help them to quote more accurately the next time ... just sayin'. Most bookkeepers don't mind sorting "shoebox" type filing (paper or electronic) ... especially for the "I don't like or do paperwork" client ... but if this is you ... you must be prepared to PAY for this service. It takes time and time is money ... which is why you probably opted not to sort and organize it yourself. So no complaining when you get the bill ... and prompt payment of the bill is always appreciated. There are many small business owners out there who think bookkeeping is only about data entry. I'm here to tell you ... you are wrong. Just ask any small business owner who hired someone cheap to do data entry after they have been audited. It requires knowledge to know where to enter (or code) your data ... to know the exceptions to the rules ... which means sorting your source documents is not as easy as you think it is ... if you want it done properly. Hire a data entry clerk if you want, just don't mistake that person as a bookkeeper. If you want to save money and hand in your receipts sorted in an organized fashion, consider adapting this portable document filing system. It's a real money and time saver. Or consider one of you have techie options to help you ... like ReceiptBank or Expensify or Shoeboxed. My biggest problem with all these services is having all your financial business spread out over more than one company online. In this day of social networking, younger people don't seem to be as concerned with this as older people. I'm moving there but reluctantly. I Think I've Been Ripped Off! I've heard small business owners think they are being ripped off when a bookkeeper enters the invoices/bills through Accounts Payable during backwork. "I'm paying for 2 transactions when it could have been entered in 1 transaction!" Well here's the thing; if you were sloppy with your paperwork and didn't make it easy for the bookkeeper to determine source of payment, it actually costs you less to have the bookkeeper let the software do the sorting/matching of bill and payment of the bill. It is much more efficient than trying to match paperwork manually. If you had a flat fee or a fixed pricing agreement, how the bookkeeper enters the data wouldn't be an issue ... but here is why a bookkeeper may enter the invoice/bills through Account Payable. As many customers don't indicate payment sources, I enter all the unmatched purchase receipts and bills through the Accounts Payable module. Then I pay it from "my best guess" source. When I reconcile the bank or credit card statement, I can quickly fix the source of payment if my best guess was wrong. It saves voiding and reentering the transaction if the period is still open or doing a correcting entry to correct the entry if the period is closed. Using Accounts Payable as a type of clearing account can be one way of implementing a good internal control procedure. This method also provides a good vendor history for the client and ensures no expenses are double booked. It achieves this because when a client pays a bill with a cheque, but never submitted the actual bill with their source documents, the cheque now gets coded to Accounts Payable and not the expense account. Recording the cheque now places the vendor account into a "credit" balance. It alerts me that the original source document needs to be tracked down if the bookkeeping is going to be audit proof. When I receive the supplier invoice, I code it to the expense account. Next, I apply the outstanding "credit" to the supplier invoice to clear it and show it paid. This method makes it easy to review the Accounts Payable and see what documentation is missing because the Vendor's balance will show a "credit". If, by the end of the year, a client has not provided the appropriate source document, the amounts are "expensed" to owner's draw as they are not tax deductible without the source document ... so you can see how important organized paperwork is when you have a small business. A lost invoice or receipt means increased taxes because you lost a tax deduction ... which means less money in your pocket. And while I think of it ... when you collect money from a customer, deposit it as soon as possible ... the whole amount received. Don't keep some of the cash for yourself. If you need money, take a draw from your business account. It's much easier for the bookkeeper to match deposits and it will make any future tax audits go more smoothly. If you expect a bookkeeper to process your quarterly books and GST return with less than two weeks lead time, expect to pay more. Remember you are not their only client and they need to be able to schedule all their work to meet government compliance deadlines. Giving them lead times allows them to perform high quality work. As you can see, it's not that easy to give you a figure as to what you could expect to pay for bookkeeping services. Because fees are based on volume of transactions, complexity of your industry, the problems unique to your business and different services you can opt in or out of, you need to get some quotes or ask your friends who they use. Once you start asking around for a quote, be sure to ask if year-end preparation is included in their fee quote or if it is an additional charge. They may not even offer year-end service as they expect your accountant to perform year-end ... which is okay. Don't do this step until you know your business structure. Before you speak with prospective bookkeepers about bookkeeping services, you may want to read What Are Your Responsibilities When You Hire a Bookkeeper? and anything else relevant .. especially if there is a "story"
If you can staple the paid receipt to the bill, that's good too! If you can staple the bank deposit receipt to the customer invoice, that's good too! If you have a smart phone, use one of the apps to capture your receipts electronically ... before you lose or misplace them. Some of the apps have you input the data fields at the same time, others extract the data from the image and let you review it. One habit I don't recommend is using a highlighter on thermal receipts. Over time, it blacks out the field and you really, really, really can't read it ... which is frustrating when entering backwork. Why would a bookkeeper fire a client? What makes your bookkeeper unhappy? Get excellent bookkeeping service by being an excellent client. If you find a good bookkeeper, treat him or her well ... because like a great hair dresser, they can be hard to find. A great bookkeeper can save you money. And remember this possibility, just as you can "fire" your bookkeeper, they can also "fire" you. ... Hmmm. Let me count the reasons ... Slow payment for bookkeeping services rendered, continually submitting work late or just in time, or giving it to them in bits and pieces, or there is always something missing ... come immediately to mind. It's also frustrating to work with clients / customers that refuse to learn / improve their paper handling methods or modify the types of transactions they run through their business. You are probably wondering what's the big deal with stuff like that. The big deal is that it costs the bookkeeper in time and efficiency ... making the account much more expensive to operate. Stopping and starting on a file takes more time than just working on the file once. Taking time for collections means the bookkeeper is not providing bookkeeping services to another client. If it is ongoing and your bookkeeper keeps you as a client, these inefficiencies will probably be built into your pricing ... interpret that as meaning you are paying more for bookkeeping services than the client who is well organized and always on time. You may at some point wonder, "Does a bookkeeper have the right to hold a client's books until payment is received?". I talk about this issue in Small Business Bookkeeping Questions and Answers. One thing you should be aware of ... bookkeepers and accountants are subject to third party civil penalties. ... So if you ask your bookkeeper to be willfully blind to obvious errors when preparing your information, they would be justified in withdrawing their bookkeeping services and resigning from the engagement. In the U.S. tax preparers must register with the IRS and get a PTIN. The IRS was making it mandatory to pass competency tests and attend continuing education as a preventive measure against dishonest tax return preparers ... however a 2013 court case had this shut down as not part of their authorized mandate. The CRA was working on a proposal to register tax preparers. With the new Liberal government elected in 2015, I'm not sure of the status of this program now. If you aren't satisfied with the answer, I would turn the client away. Bookkeepers are not non-profit businesses. 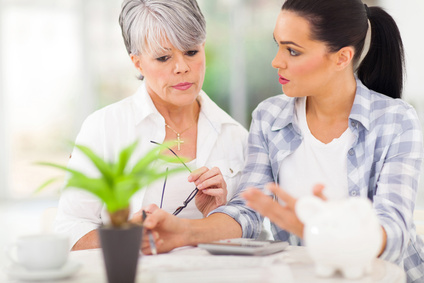 They provide bookkeeping services because they must work for a living to support themselves and their families just as you do ... consider that if you are thinking of moving the payment of their bill to the bottom of your list. I'm always surprised how many small business owners seem to have no problem not paying a bill for services rendered. How do these small business owners sleep at night knowing that it is a form of theft they have engaged in? I'll close with this thought for the slow payers ... Do you enjoy phoning your clients / customers because they haven't paid your account? I'm guessing no. Then why do you think your bookkeeper enjoys this task? ... Just in case you missed what I said earlier ... slow bill payment of bookkeeping services rendered increases the cost of bookkeeping ... because unbillable hours for collections now has to be factored into the bookkeeping service rate. One final thought. With websites now becoming the new business cards it concerns me when I see a bookkeeping service website that does not have an "About Us" page ... or if they do, they never give their name or credentials or a picture of themselves. If they aren't willing to tell you who they are and what their background is, why would you want to do business with them? That would be like handing out a business card without your name on it ... ridiculous! Ask yourself this, if they are hiding behind anonymity on their website, do you really think they will stand behind their bookkeeping service work?